Welcome to MCK Resume Service, a premier Internet service in Palm Harbor, FL, serving clients worldwide. Do you have a hard earned college degree or an excellent job performance record? 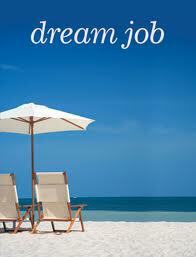 Are you hoping to secure that dream job you’ve been diligently searching for? I’m sure you are aware that finding a job is more competitive now than ever before. The difference between landing an interview or receiving a “we’ll keep your resume on file” message, frequently boils down to the appearance and professional content in your resume and cover letter. MCK Resume Service would like to tip the scales in your favor by helping you create a unique and job-winning resume. MCK Resume Service is committed to preparing superior resumes and cover letters. After a complete analysis of YOUR career objectives, a winning resume is written and edited to meet your SATISFACTION. Your resume is CUSTOM made to reflect YOUR unique goals in a way that is sure to OUTSHINE other resumes received by employers each week. Cover letters and thank you notes are tailor made as well. Why hire MCK Resume Service? It has been said, “You only get one chance to make a first impression.” Since your resume is a written reflection of yourself, as well as a fixed and firm document in the hands of a prospective employer, you’ll want to be 100% certain you express your background and abilities in a way that will not only interest employers, but will JUMP OUT of the stack of resumes and be DISTINGUISHED above the hundreds of other resumes already on hiring managers’ desks? MCK Resume Service has the ability and resources to make your resume shine so you get noticed. Previous postCan a gap in employment cost you an interview? Next postChoose a job you love.